A multi-ending, cinematic VR/360° film noir experience where the viewer’s gaze can determine the fate of the film. 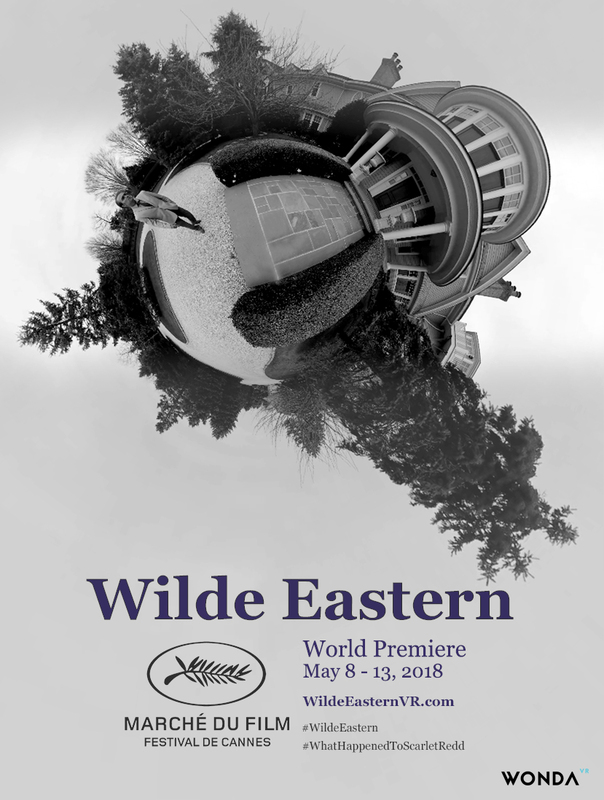 Wilde Eastern to debut at Cannes 2018! The film was co-created by Christina Elizabeth Hall (ITP 2018) and Penelope Lawson (Grad Film 2019), Directed by Penelope Lawson, Written by Christina Elizabeth Hall, and Produced by Penelope Lawson, Rebecca Martos, and Richard Kim. The film features actors Bud Galloway (American Horror Story CULT), Cat Daddario (Artifact), Gianmarco Soresi (Deception), Jason De Beer (Numb), Nicolas diPierro (Just Sing), Olivia Blois Sharpe (Jerseylicious), and Daniel Deutsch (Numb). The Wilde Eastern team wishes to thank the NYU community, specifically the Graduate Film Department and ITP at Tisch School of the Arts, Wonda VR, Jaunt, and Gotham Sound. We enter the high contrast black and white world of film noir where private eye, William Wilde, is investigating the disappearance of Scarlet Redd. Scarlet is the wife of a furiously jealous yet prominent businessman Beau Redd. Scarlet was last seen at the Montauk Manor, a local hotel with a dark history. The rumor within the hotel is that Scarlet is having an affair William. In this multi-ending, immersive 360 experience, follow William through the historic Manor filled with curious characters with questionable intention. Be sure to pay attention, you wouldn’t want to miss a clue, that could have dire consequences.